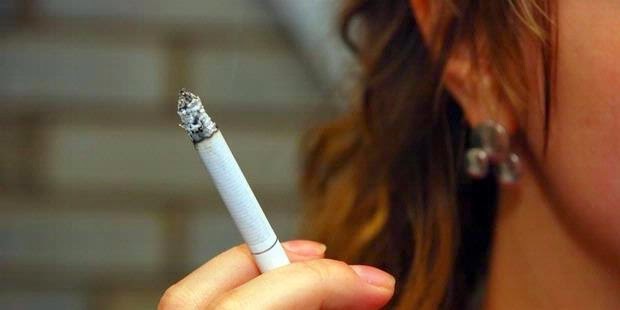 Beware, Current Cigarettes More Deadly for Women! For a long time, many women who have the habit of smoking. However, a recent study revealed that current smoking is more deadly for women compared to several decades ago. The study revealed that in comparison to the risk of smoking-related deaths in the 1960s. In this time, smoking can increase the risk of lung cancer that is deadly up to 2.7-fold. In the period 2000 to 2010, the researchers saw an increased risk of death due to the dangers of smoking to 25-fold compared with the risk in the 1960s. Similar results were also found not only deaths caused by lung cancer, but also due to chronic respiratory diseases, and other conditions related to respiratory health, as reported by the Health Me Up. Based on the results of a study published in the New England Journal of Medicine, the risk of death in women smokers are four times more likely than those who do not smoke. When compared with non-smokers in the 1960s, the risk increased to 22.5-fold. One reason is that today many women who have the habit of smoking at a young age. Moreover, they smoked more cigarettes than people in the 1960s. These results were obtained after the researchers looked at more than 2.2 million men and women aged 55 years during 1959 to 2010. One of the researchers revealed that if women smoke like men, they die like men. The study also found that quitting smoking at any time can provide tremendous positive effect for the health and can reduce the risk of death drastically. The results of this study could be a reference for the women to stop smoking immediately. Current smoking is more dangerous and deadly than earlier times. In addition, stopping smoking can reduce the risk of death drastically and nourish the body. A throat infection would make people uncomfortable and painful. If not treated promptly, the infection of your throat can last for weeks until many months. Therefore, treating strep throat while still form in the early stages is very important if you don't want to suffer for a long time. Raspberry leaf tea is claimed to be good for the throat infection. 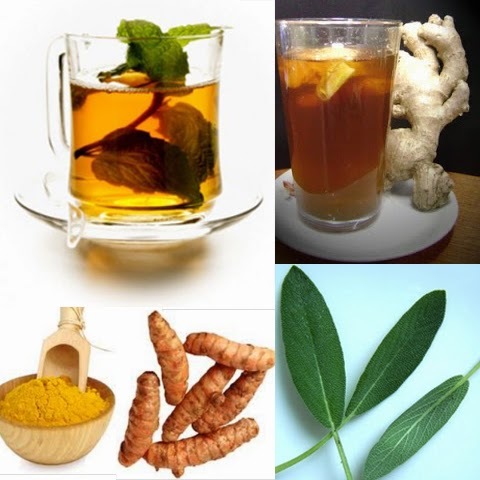 You can use this tea to gargle or drink to relieve inflammation of the throat. Take two teaspoons of dried raspberry leaves in a cup, then pour hot water in it. Mix and allow it to become warm drinks. Your throat will feel better. Sage is one of the herbs that are good for health. You only need to mix a teaspoon of sage leaves with warm water. Let it for a moment, and then drink the water. sage is also claimed to be the most efficacious drug to treat infections of the throat. Mix water with half a teaspoon of turmeric and half a teaspoon of salt and boil. After that, let it for a moment. In the morning, use the cooking water to gargle. Turmeric water is good for throat infection. Gargling with turmeric water is also known as one of the best methods to overcome a throat infection naturally. Add a pinch of salt to the boiling water, and mix. Let the moment until the water gets warm. After that, gargle with salt water. Gargling salt water on a regular basis is very good for throat infection. Ginger tea is very good for the health of the throat. If you want to clear the throat and relieve the infection, try drinking ginger tea. In addition to preventing problems with the throat, ginger tea is also claimed to cure strep throat quickly. That's some natural ways that can carried out to overcome a throat infection. If it can be treated in a natural way, don't directly use the drug to ease it. Good luck! The footwear was created to protect the human foot from a lot of things. Starting from sharp objects that are on the streets, bacteria, germs, and dirt when walking. But that does not mean you should continue to use footwear when walking. Once in a while, walking barefoot can also provide health benefits. 1. Neutralize free radicals, reduce stress and help the healing process of wounds, trauma, and pain. 2. Lowering the level of chronic inflammation that is often associated with many health problems such as heart disease, diabetes, cancer, and other. 4. Improving the quality of sleep. You don't have to constantly walk around with barefoot. These benefits can you get by occasionally walk barefoot in the house, or on the grass and your garden. 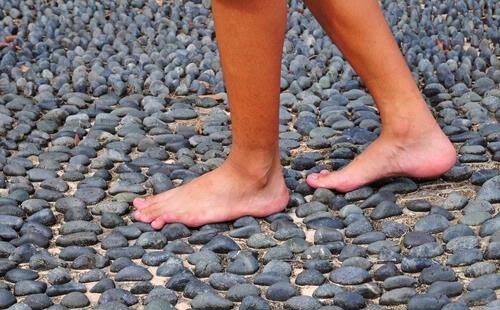 Walking barefoot is recommended to do at least 60 minutes every day. Good luck!